Are you fond of extreme kinds of sports? 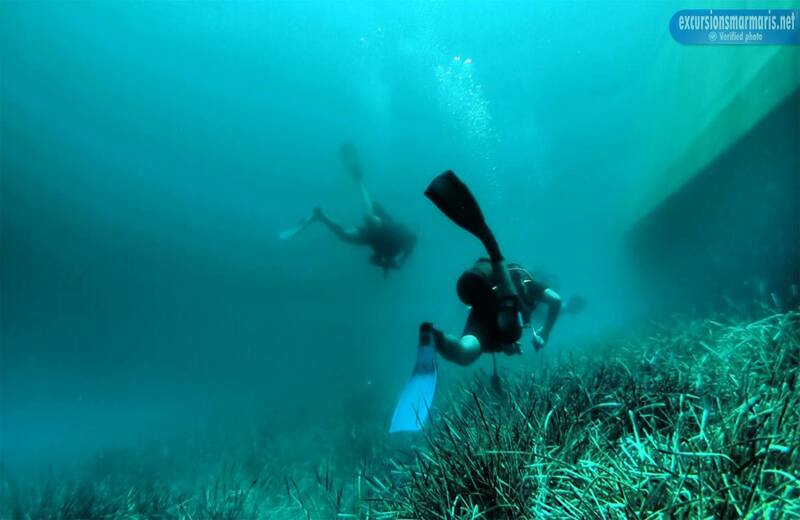 Would you like to have an underwater adventure? 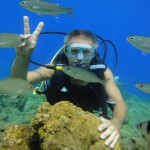 We are ready to offer a day completely devoted to diving. Do you like this idea? 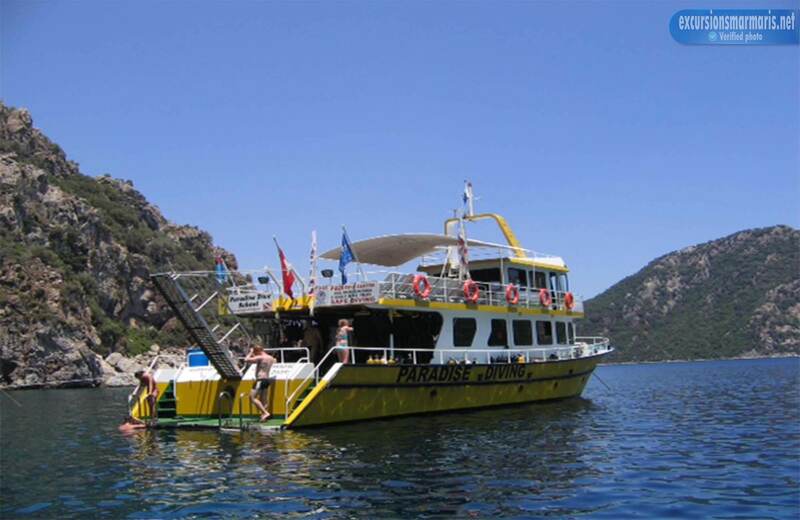 Marmaris scuba diving is a great opportunity to observe blue waters of the Mediterranean sea, to have a look at colorful fish and coral reefs, to dive in distant grottos. 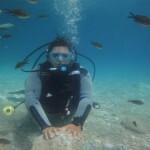 Also you’ll get a chance to have a glance and a swim in the channels of the Aegean sea. Our trip lasts seven hours. It starts at 9.30 in the morning, when we pick you up from your hotel. 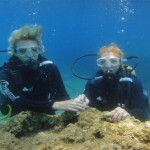 Then our clients work with a trainer who shows how to behave in the water and how to use the diving equipment. 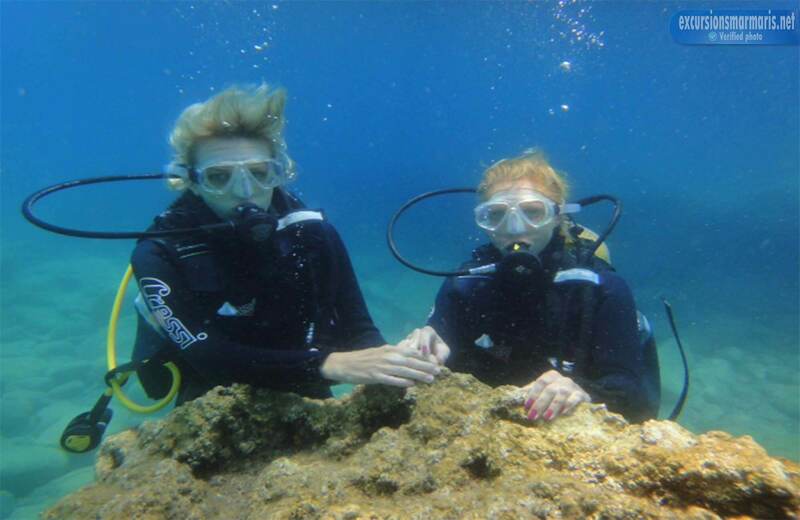 There is a special pre dive test and we adapt to you the balloon with oxygen and the mask. The equipment is tested and adapted to each client personally. 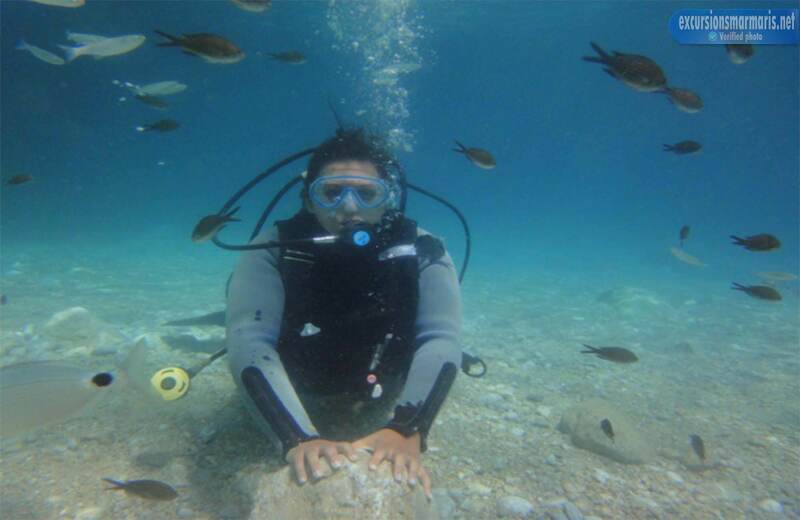 After all these preparations you are ready to start diving in friendly waters of the Mediterranean. We are very responsible for the safety of our clients. Our clients are accompanied by a group of doctors, who are ready to provide the first aid. But don’t be afraid of these measures! Accidents are very rare to happen! 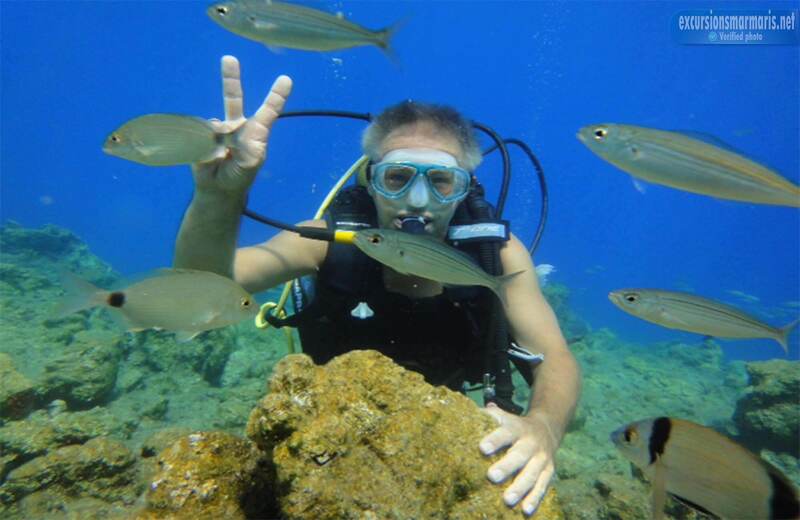 Calm down and enter into the friendly waters of the Mediterranean sea. 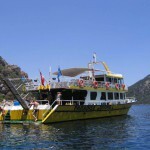 Your participation in Marmaris diving activity will give a lot of positive emotions and satisfaction. 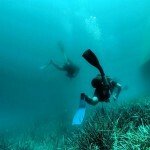 If you are experienced divers and aren’t afraid of the depth, and we’ll show you the most distant and hidden spots. In the evening all the guests are offered a nourishing lunch. Remember to bring your sun screen and towels! We finish our trip at about 17 p.m. and you return to your hotel.